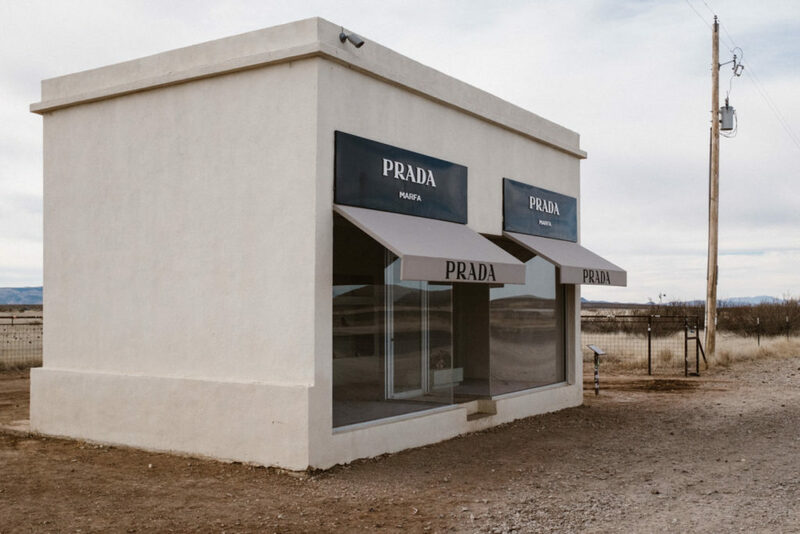 Having grown up in the Gossip Girl era, I’ve been plotting my visit to Prada Marfa ever since Lily Van Der Woodsen’s artwork pointed the way from her swanky NYC loft. 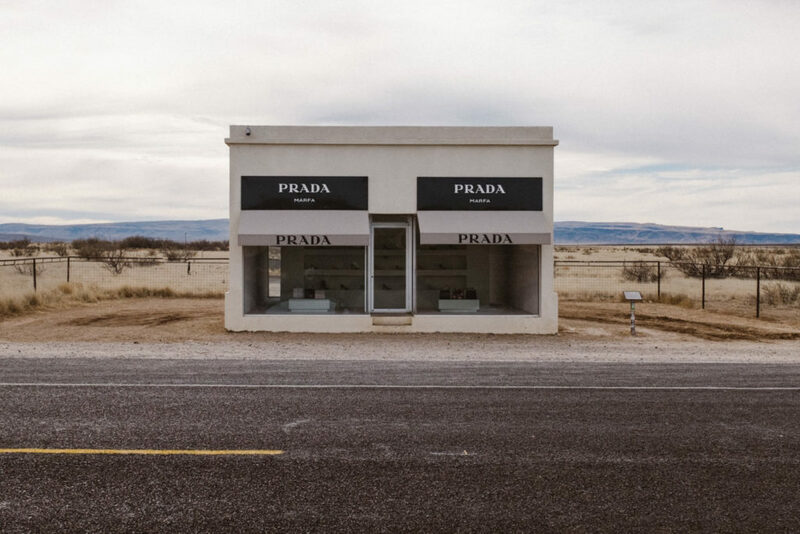 Prada Marfa, a permanent pop-culture land art sculpture by Berlin artists Michael Elmgreen and Ingar Dragset, was built along highway U.S. 90 in a small town called Valentine, Texas. The installation was commissioned by a nonprofit contemporary art gallery called Ballroom Marfa and Art Production Fund. 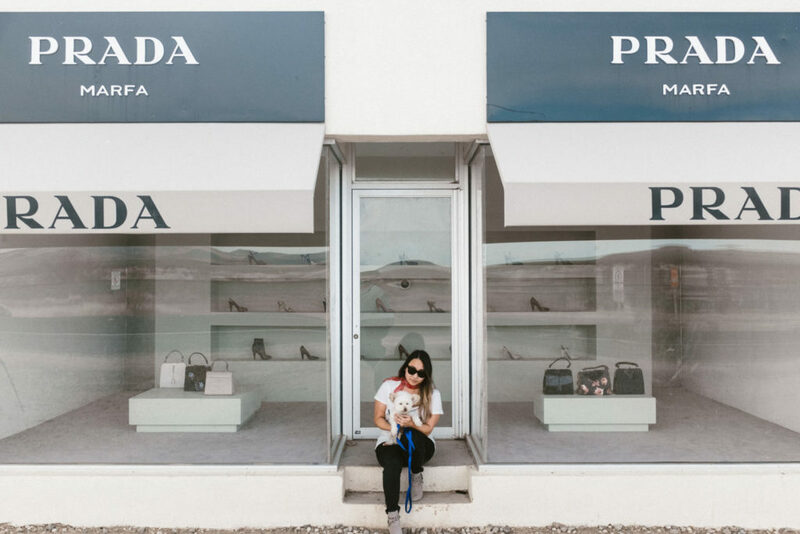 Prada gave permission for the name/logo to be used and designer Miuccia Prada chose handbags and women’s shoes from their F/W 2005 collection for display inside the faux storefront. 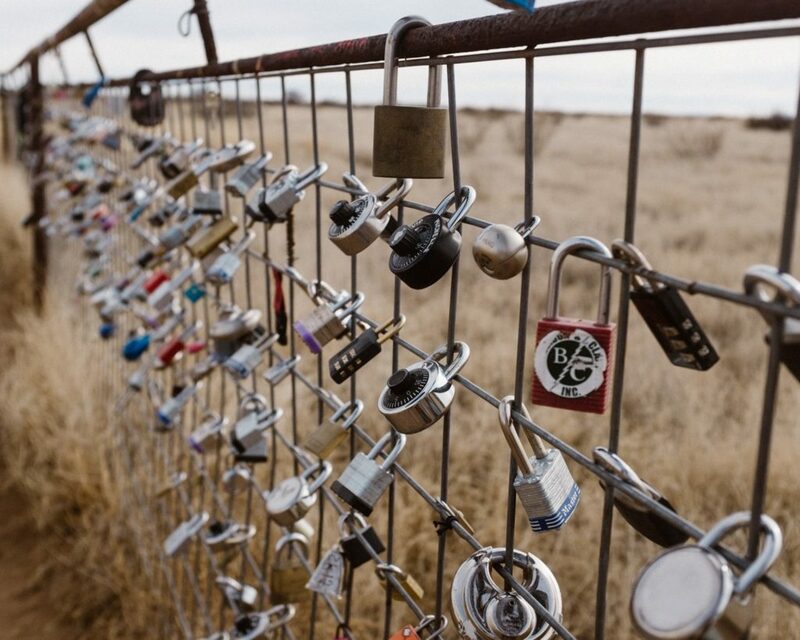 This quirky contemporary art display is one of the main reasons we drove 7.5 hours from Dallas to Marfa (and an additional 40 minutes from Marfa to Valentine). I envisioned us doing a whole photoshoot and having the space to ourselves in the middle of nowhere. Reality check… cars were lined up along the side of the highway filled with people waiting for their turn to capture the picture Instagram shot in front of the iconic building. I frantically setup the tripod and camera so we could jump in for a self-portrait. We thought maybe we could wait out the crowd, but as soon as one set of tourists left, another car would pull up in its place. It was a race to get a variety of shots, because, (as I pled to Holden) we had driven over 8 hours to get here! Major props to both him and Zeus for humoring me as I wandered around taking pictures of the outskirts as a stalling tactic. 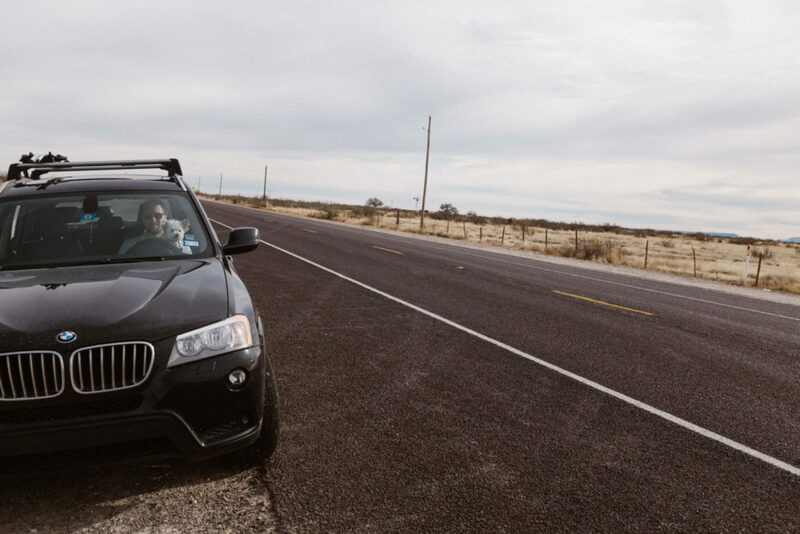 Was it worth the travel time and effort for a few moments and pictures of a fake store in the middle of West Texas? ABSOLUTELY. 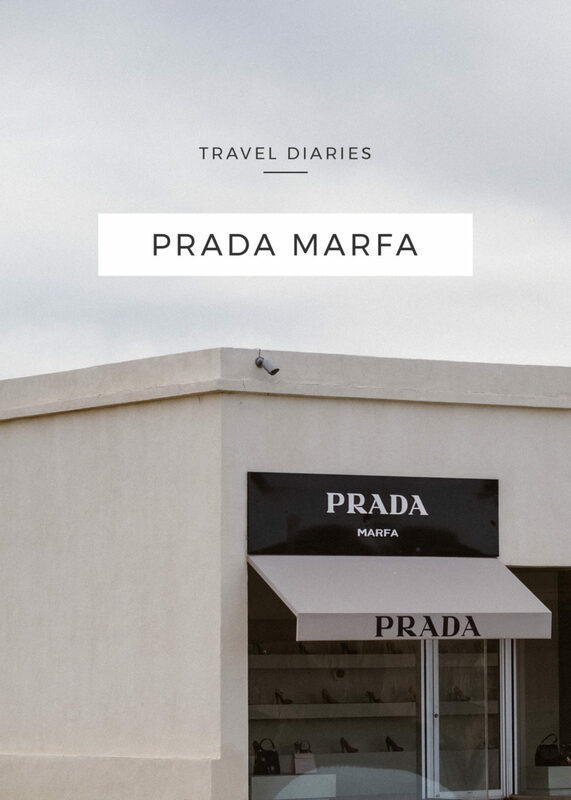 I’ve already ordered a framed print of my Prada Marfa photograph to commemorate the pilgrimage. 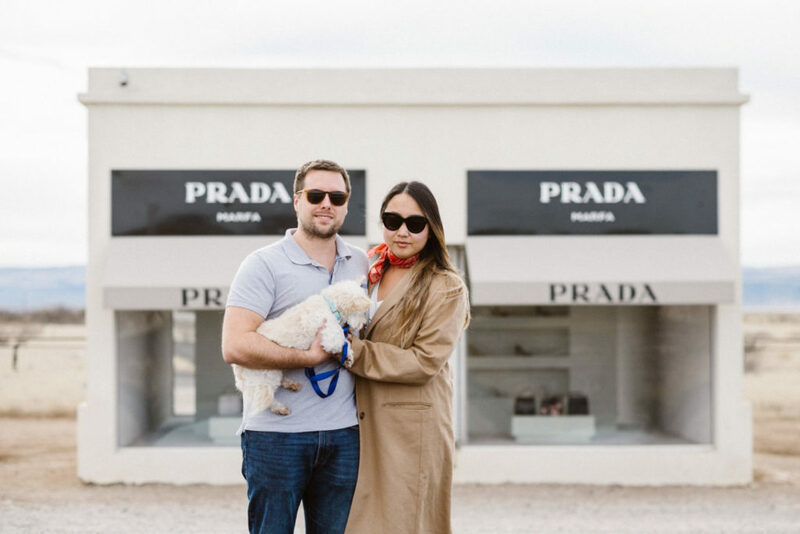 Prada Marfa is located along US-90, Valentine, TX 79854. 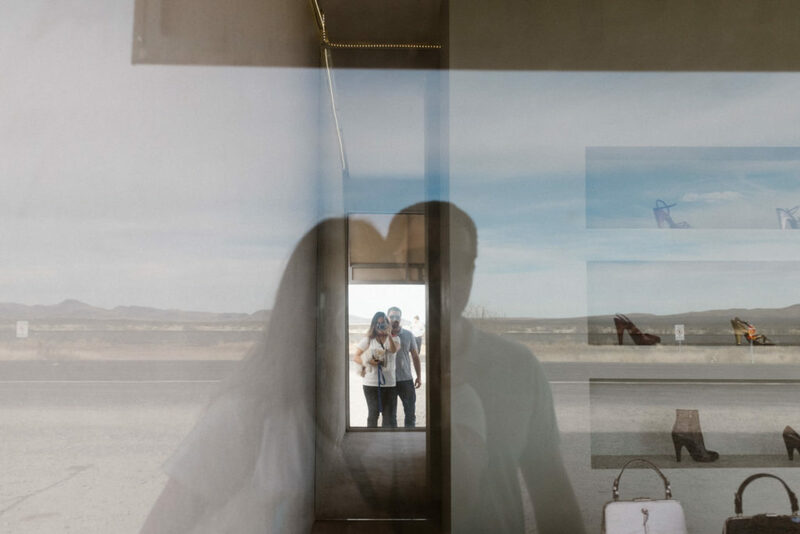 Basically, from Marfa, just keep driving down the highway until you see the building appear like an oasis in the desert. Happy window shopping! Goal is to get there one day! I’ve always wanted a photo in front of this installation. I’m just living through you and Holden’s life! OMG I can just imagine you and Delilah posing together– it will be the cutest!! Bucket list. HAVE to go this year!! Love this and makes me want to go even more! Need your tripod photography tips – these turned out amazing!!!!!!!!! (as alway)!